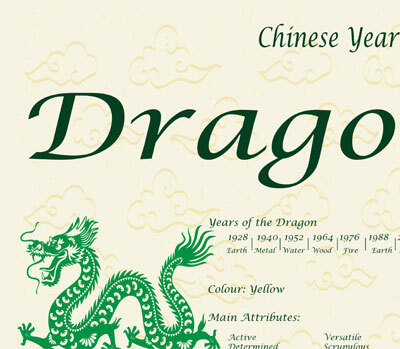 Years of the Dragon: 1928 – 1940 – 1952 – 1964 – 1976 – 1988 – 2000 – 2012. 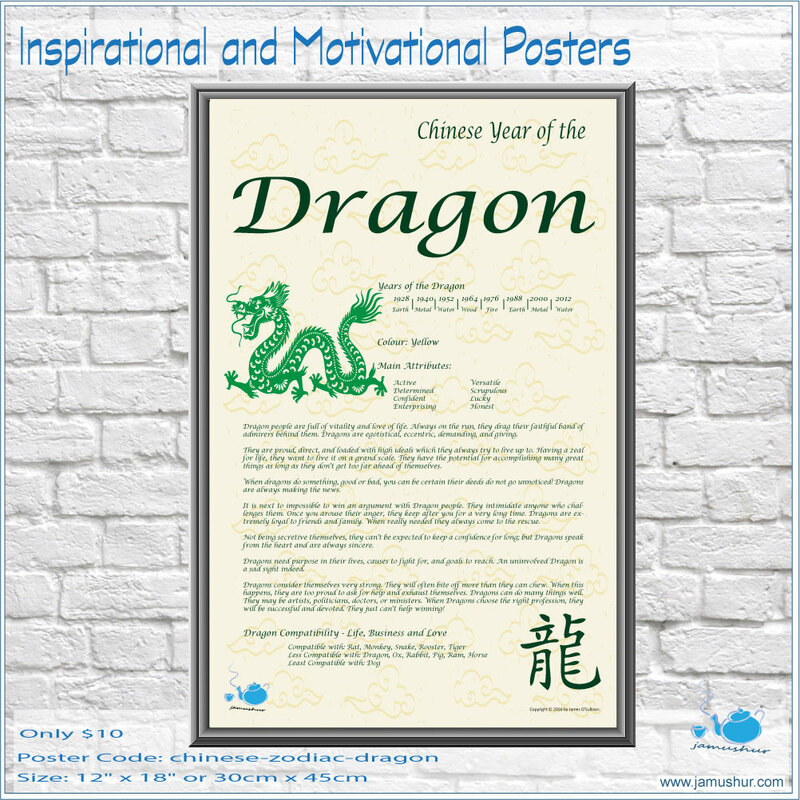 Dragon people are full of vitality and love of life. Always on the run, they drag their faithful band of admirers behind them. 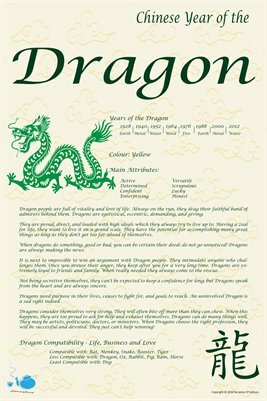 Dragons are egotistical, eccentric, demanding, and giving. They are proud, direct, and loaded with high ideals which they always try to live up to. Having a zeal for life, they want to live it on a grand scale. They have the potential for accomplishing many great things as long as they don’t get too far ahead of themselves. When dragons do something, good or bad, you can be certain their deeds do not go unnoticed! Dragons are always making the news. It is next to impossible to win an argument with Dragon people. They intimidate anyone who challenges them. Once you arouse their anger, they keep after you for a very long time. Dragons are extremely loyal to friends and family. When really needed they always come to the rescue. Not being secretive themselves, they can’t be expected to keep a confidence for long; but Dragons speak from the heart and are always sincere. Dragons need purpose in their lives, causes to fight for, and goals to reach. An uninvolved Dragon is a sad sight indeed.